← The Angel Company Has Closed! I made this lovely earring and bracelet set and posted it my Etsy site. Please take a look and add a post here to tell me what you think. 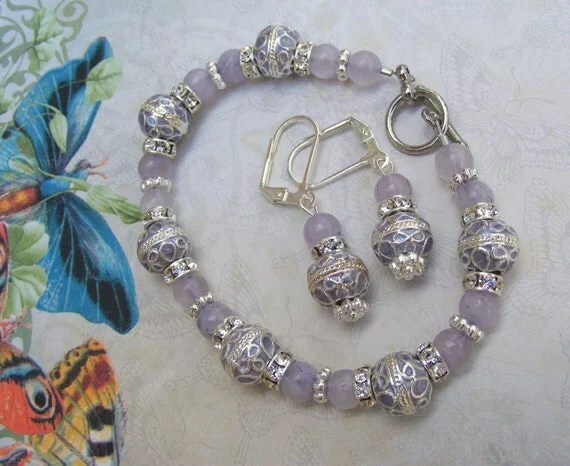 This entry was posted in Beaded Jewelry and tagged beaded, bracelet, crystal, earrings, lavendar, Purple. Bookmark the permalink.